Comments: JOHN W. COLBERT (Nee: ) | BLACK OAK AR UNITED STATES | 1851-1900 | Comments: JOHN W. COLBERT WITH HIS FAMILY E.P. WEATHERS-FORD-COLBERT, HIS STEPSON JAMES WILLIAM FORD, AND THEIR DAUGHTER BERTHA COLBERT. THEY LIVED IN BLACKOAK ARKANSAS IN THE HANCOCK COMMNITY. 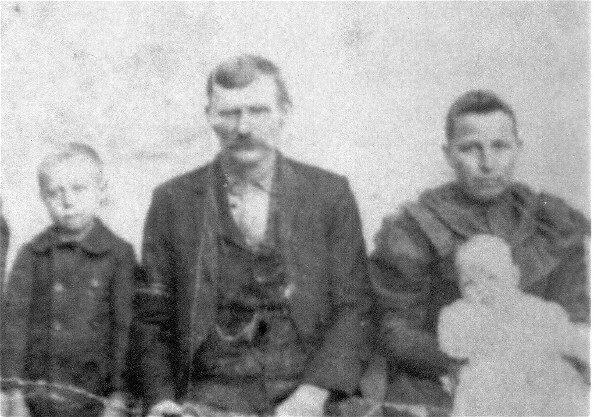 JOHN W BORN 1846, LEAH BORN 1864, JAMES WILLIAM FORD (AKA WILL FORD) BORN 1889, AND BERTHA BORN ABT 1895-96.